Insulation companies should be able to be trusted to provide efficient yet thorough installation services with close attention to detail, not just rushed jobs that sacrifice quality for speed. Fortunately, if you live in Kansas City or elsewhere in Missouri, the best choice is easy to find: 31-W Insulation. We will expertly install or replace the insulation in your home to minimize heat transfer between the interior and exterior of the house, as well as help prevent the infiltration of noises and allergens from outside. 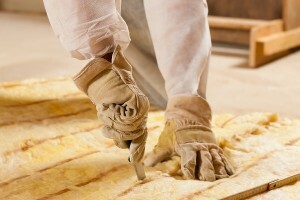 At 31-W Insulation, we only install high-quality insulation materials from companies trusted across the nation for durability and performance, such as Owens Corning® and CertainTeed, so that your home in Kansas City, Missouri, is protected from the elements by the top-rated materials in the industry. To find out more about what makes us the best of the insulation companies in Kansas City, MO, and beyond, contact 31-W Insulation today.